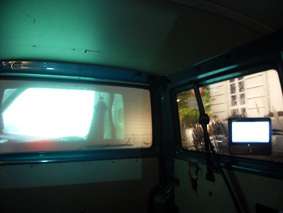 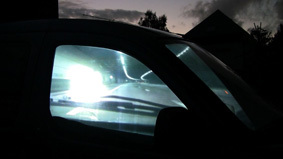 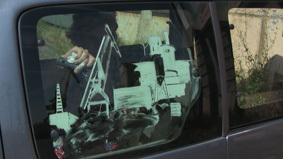 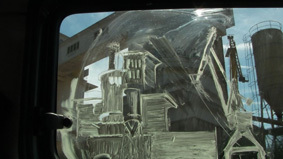 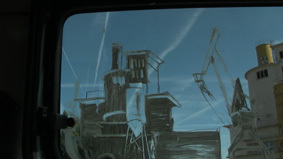 This installation consisted of a video, projected from the inside on the back window of a camionette. 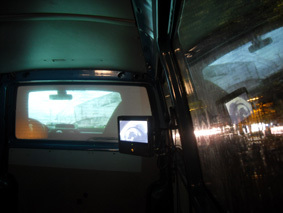 And two video on small screens inside the car. 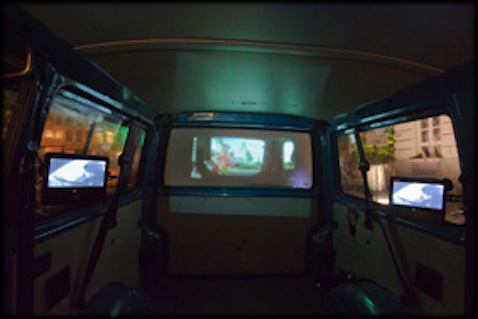 Visitors could sit in the camionette to watch the videos. 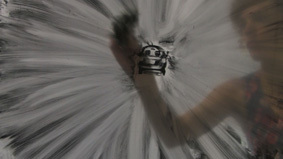 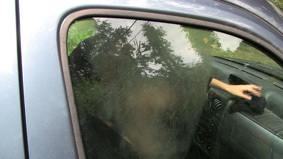 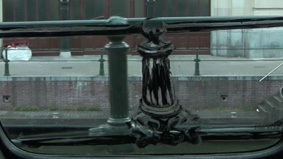 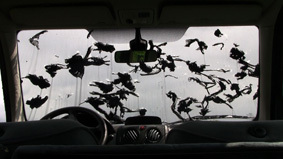 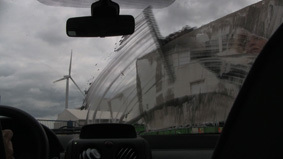 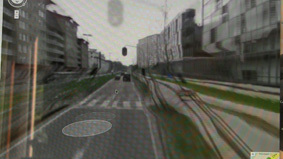 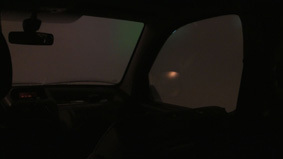 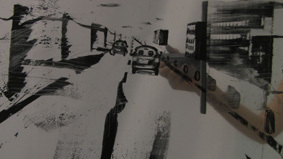 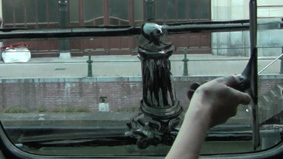 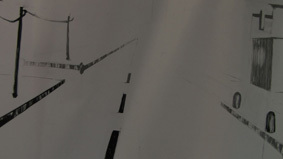 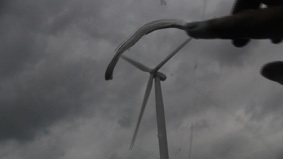 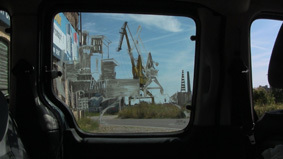 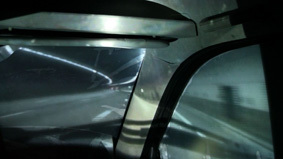 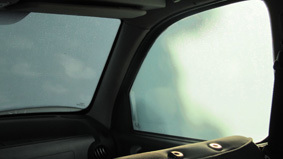 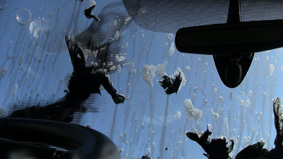 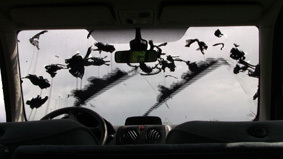 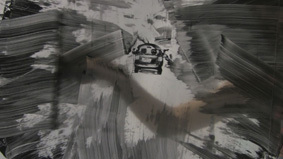 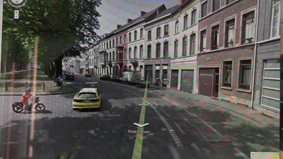 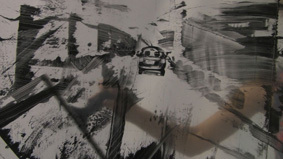 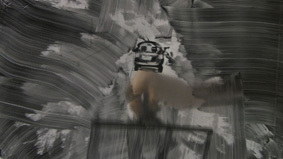 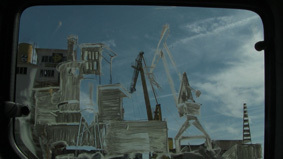 The work consisted of previously recorded video images from inside a moving car in Ghent. 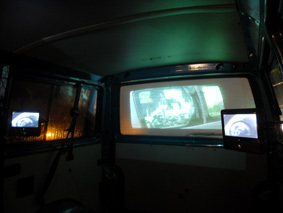 If you were sitting in the camionette, you could see 2 times next to eachother: the projection (virtual reality) and the real reality through the windows.